Discussion in 'Discussion & Q&A' started by Ayla, Dec 16, 2016. This year's judges will consist of myself, Cinossu, Clownacy, Spanner, SuperEgg, and SSF1991 (Donnie) along with new judges Dandaman955, Dario FF, OrdosAlpha, Selbi and Twilightzoney. This judge list is not final and additional judges may be recruited to replace former judges who have left the contest due to retiring or other reasons. Do not ask to be a judge as that just rules you out. If we think you're up to the job, we'll talk to you. This team will be reliable and will be able to deal with contest judging as soon as possible in order for us to progress through the contest and get the results out as soon as possible. Judges will be able to submit their own hacks but will not be able to judge it themselves, nor will they be able to judge submissions that they have been involved with (such as team hacks). Judges will provide more detailed evaluations of the entries at the end of the contest to give opinion, thoughts, and advice they feel is deserved. Please note that the final decisions are subject to the Judging Team and may not reflect your own opinion. If one hack wins a whole load of trophies that is what the judges thought should win. Judges may change at any time due to unavailability or other reasons. First are the normal trophies. Please note that any level specific trophies are now hack specific, meaning they no longer go by individual levels in a hack. Judges will allocate a winner to each trophy and if a particular entry that missed out has enough support as a runner-up an Honourable Mention will be added as well. The same as last year, judges again reserve the right not to award a trophy at all via a Null Vote. Grand prize / 1st place. This is given to the overall best entry in the contest. 2nd place entry overall in the contest. 3rd place entry overall in the contest. Best 3D Sonic game modification submitted overall. Best 8-bit Sonic hack submitted overall. Hack (or specific level of a hack if non-applicable) that plays most like a Sonic game. Best art in a Mega Drive / Genesis hack submitted. Best art in a 3D modification submitted. Best art in an 8-bit hack submitted. Best music in an entry submitted. Best level layout in a Mega Drive / Genesis hack submitted. Best level layout in a 3D modification submitted. Best level layout in an 8-bit hack submitted. Most difficult entry (or specific level of an entry if non-applicable) submitted. Best handheld game entry overall. Best technical / proof of concept entry submitted. Best new enemy/badnik in an entry submitted. Best new boss or mini-boss in an entry submitted. Best new ability in an entry submitted. Most innovative game play feature in an entry submitted. Best Special Stage in an entry submitted. Best cutscene in an entry submitted. Best fresh concept using existing concepts as the backbone in an entry submitted. Most entertaining / fun entry submitted. Most improved entry from last year's contest. Entry from this year's contest that is felt to have the most potential. Voted best entry of the contest by the Media Panel. These trophies are trophies that are awarded by the community during the Contest Week. Best level layout entry submitted. Your entry must be based on an existing Sonic the Hedgehog ROM or game. 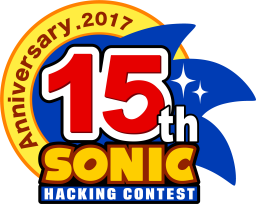 No homebrew submissions will be accepted in the Sonic Hacking Contest. Please take a look at the Quality Control criteria below these rules for what is and what is not allowed in an entry to both the Contest and the Expo below these rules. We're being serious over this stuff this year. If you can't meet the criteria then you need more time before you can take part in the Contest. Take some time to look at what you are missing or need to work on and come back in 2018 with an even better entry than your current one. While the Expo will also be subject to the Quality Control criteria, it won't be as stringent as that for the Contest. No Joke or Meme entries are allowed in the Contest this year. The evaluations from the public have clearly shown that they did not like the abundance of them in last year's contest, so we will not be allowing them this year. However, they will be allowed in the Expo provided that they meet the Quality Control criteria. No Private entries. If you want to submit to the Contest your entry must be made available completely to the Public. 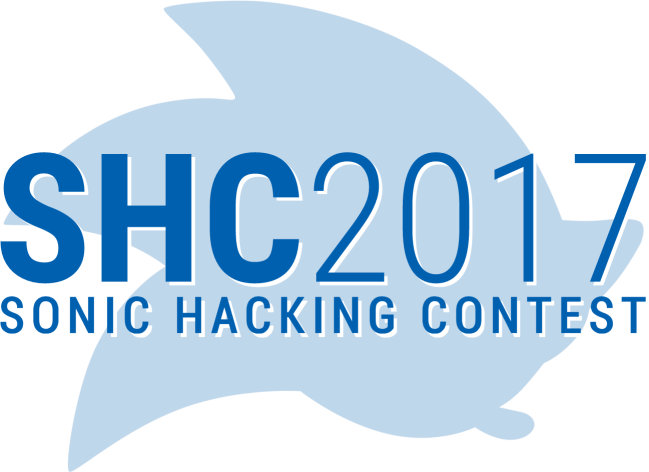 There is no Partial-Private this year for the Contest at all, but that feature will be available in the Hack Expo. Submissions must either inform of what has been changed or explicitly what has not - zone and act breakdowns to a full change log, if need be - to avoid people playing stock vanilla levels and gameplay that has been left completely untouched. Submissions can also inform of other information such as cheat codes, easter eggs, and other worthwhile information that would benefit your entry when being looked at and judged. You must include media such as screenshots (absolutely mandatory, and must include a title screen image), videos (YouTube links are fine), and music (MP3, OGG, and VGM preferred). The judges will not waste time making screenshots or other media for you. E-mailed or direct-messaged entries will not be accepted. All submissions must be completed through the online site. All entries must be playable and cannot prevent judges from playing them if they have been uploaded. Judges have the right to look at your incomplete work if you have submitted it. However, judges will not allocate trophies based on any incomplete builds, only the last build submitted for the completed entry. packs from the Internet in your entry please be wary of this and be sure to double-check on their origins, as they are known to contain content illegitimately ripped from other hacks. All entries are viewed equal regardless of who submits them. Do not be put off with people well known in the community potentially submitting that could win trophies - people do not win trophies because of who they are in this community, people win because their entry deserved to win. Please be aware that not all judges can judge certain games - Sonic Generations, Lost World, and other console based entries, for example - as they do not have the capability to do so. If you submit an entry which is not a standard 8-bit or 16-bit entry please have this in mind. Judges have the right to remove your entry from the Contest at any time if it does not meet the criteria or if your hack is disqualified for whatever reason. While these entries apply to both the Contest and the Expo, they will be more stringently enforced for the Contest than the Expo. These rules can be changed, added to, or removed from at any time. Check back often (or at least once before you submit something) to make sure they haven't since you last looked. Palette changes, physics changes, SEGA sound changes, and other various small things. Art changes, layout changes, special stage layout changes, and mapping changes. Engine changes, sound driver changes, and special stage functionality changes. Music and sound effect changes. A complete change to the rules of a Sonic game. For example: Sonic Bash v2, boss rush hacks, Knuckles Emerald Hunt, etc. A (near-)complete overhaul into a whole new game. For example, Sonic Scorched Quest, Sonic Virtual Adventure, etc. A technical feat. For example, MarkeyJester's Mode 7 Mega Drive experiments, Sonic 4 in 1, etc. A 3D modification that changes features in the playable game itself. Just menu or simple texture modifications alone are not acceptable. NSFW content that is accessed through normal means or just playing the game. Easter eggs are okay, however, as they aren't immediately accessible without prior knowledge to their existence. Adding the method of access through your entry description, however, will be considered as accessed through normal means. Please share the method of access through other mediums such as forums or discord. Obscure jokes and/or memes that most people will not understand. If the entry focuses on in-jokes with no appeal to anyone other than those in the know, the Contest or Expo is not a valid place for it to be shown. A joke entry whose soul purpose is to game the rules and exploit any loopholes, if any are found. If you are unsure whether or not your hack would pass the criteria, contact a judge for clarification. After the release of Sonic Mania for PC, it did not take long for people to break into the game and modify various pieces of it. Right now, Mania modding is in its very early stages with mostly sound, sprite and models being manipulated. Unless things seriously progress to a point where level editing (for example) is able to be done, all Mania mods may be entered for the Hack Expo ONLY. Please bear in mind that we have a Quality Control Criteria that must be met therefore anything of a low quality will very likely be rejected by judges and rejected from exposure at the Contest Week entirely. Simply put, we do not want a free-for-all on Mania mods that could ruin what we put in place regarding quality control. If you’re unsure if your mod will be accepted, you are very welcome to submit it – the judges will decide whether or not it will be allowed into the Hack Expo. If modding progresses to an advanced state (such as level editing and technical additions), we may permit those mods to be judged, however we expect this will probably not happen this year, but rather in time for next year’s contest. We are open to discussion on this issue. The primary submissions deadline for entries will be the end of Sunday 29th October. You must have submitted a playable build by then to the contest site on your entry in order for it to be accepted past this point. You then have a week to refine your entry, fix any issues, and upload your final build. This final deadline will be the end of Sunday 5th November. If you are submitting to the Expo rather than the Contest you have until the end of Sunday 12th November to refine your entry and upload your final build. Any questions can be asked in this thread wherein a judge will be able to provide some sort of answer. Monday 20th November to Sunday 26th November is the Contest Week. Like the last few years, the public will have a chance to view this year's entries, download the public hacks and vote for Community Trophies. If you're planning to debut your submission to the public you can do it then, however nobody can be stopped from releasing earlier. If you want to show it off to the biggest audience around the Contest Week is your best time for it. A brand new site is being developed which will have new features and also be more reliable than the previous one. We hope to have live streams, mini contests and much more similar to previous Contests - these will be announced closer to the time of the Contest when they have been finalised. We'll also have news coverage this time much like last year. In our evaluation form for 2016 we asked people to provide links to websites and streamers to invite to participate in the 2017 Contest and we will be doing that to ensure that we can get as many people on board as possible. We'll let you know when the website is updated for the 2017 Contest so you can begin submitting as some changes to the site will be carried out to improve it. Once again, in order to submit you'll need a Sonic Retro or SSRG full member account, although exceptions may be given by contacting a judge. Feel free to like our Twitter and Facebook pages, subscribe to our Twitch Channel and join our very own Discord Server. We also have an IRC Channel which relays from the main Discord channel available at irc.badnik.zone #SHContest. The contest rules and features can change at any time - further announcements will be posted in due time. So with that, I'll leave you to your hacking. Jefftastic, VladJester2001, Giovanni and 16 others like this. One thing I seem to be noticing as I'm looking across the list of trophies, is that there are so many of them that could potentially be classed as niche. Assuming we have the quality of hacks that we had last year (deemed by the judges as 'unacceptable'), then how will the next year play out? Personally, I can only imagine a lot of trophies not reaching the considerable criteria that the contest was aiming for? Agreed. This is what null voting is for. If hacks do not reach the criteria that we feel necessary, the trophies will not be awarded. You know, in the past years I always wondered why I've never been asked to be a judge even if I always secretly hoped to be one. I never posted about it (not even a subtle hint) until now because I didn't want to be ruled out as per the instructions, but meh, at this point I'd rather be officially ruled out so I can stop hoping for nothing, at least. There, I feel better with this out from my chest. TheStoneBanana, Ayla, ThomasThePencil and 2 others like this. Unlimited Trees and HackGame like this. Don't take it personally. To be honest I forgot you were still around. There's always the 2018 contest....or perhaps if a current judge bails out, who knows. I wouldn't have a problem with you as a judge. I want nineko as judge. I trust his music opinion over anyone else's currently as judge (no offense to anyone). Maybe we've been approaching this judge thing the wrong way. If we come to people, then we keep this closed to a certain "in" crowd. You wind up with an echo chamber that way. Nineko, I have wanted you as a judge in the past. I actually didn't realise you had the time to spare / would even want to. I actually figured since there were no entries from you lately that you kind of weren't even around. I would normally agree with Spanner that you should wait until next year. We were originally going to bring on three judges, but ValleyBell turned the position down. I'm fine letting nineko fill that void that we were planning on filling in the first place. Obviously, with what Spanner said, that means he and I are split on the issue (or that he hadn't thought about the ValleyBell situation), meaning we'll have to discuss it. ...and before anyone else says, "But he just asked for it! You're breaking your own rule!! ", kindly shove it. Nineko's been around for (many) years. We're referring to incessant "Me! Me! Me!" that can happen at times. That has never happened with judging anyway, but we figured we'd try to stop any annoying whining that we could. EDIT: We discussed it (that was fast, right?). We've decided that if we have someone to replace (and we probably will), you will be the first to know. Misinko and FireRat like this. Can I marry these new rules? Jokes aside, the new rules are golden. New trophies are beautiful. The existing trophies being split to make everything more fair. Quality control. Hats off to you guys. This year is going to be amazing. I am glad that SHC will undergo this year a set of the positive changes, such as new trophies, adding of music on hack page, and the most important - quality control! The fact that in competitions will remain only qualitative hacks, but not stupid alterations of sprites, meme hacks. Also new, cool trophies - to me it was honest when Mr.Cat received nothing on SHC, it had the best 8 bit hack. I really like the new rules, but these rules seem to prohibit level design only hacks like Sonic 3 D.A. Garden Edition. Considering that that hack was one of the best hacks of the 2015 contest, it saddens me that that kind of hack is discouraged. No it wouldn't, it has palette changes, layout changes and is a complete overhaul because every layout is changed, making it like a totally different game. That fits the criteria quite well. TheInvisibleSun, Ayla and ProjectFM like this. While I appreciate Ayla's words (both here and in a private message she sent me), please don't read my above post for more than it was. In retrospect, I should apologise for that, because it was totally uncalled for and I blame the beer for that. Still, I willingly broke a rule, so no, I wouldn't feel ok to become a judge at this point, because as the rules always stated, it's not something you should get by asking for it (more or less directly), but it's something you should be picked for by deserving it. I can't unsay what I said, yes, it is true, I always hoped to be a judge, but I have (and I never had) any reason to believe I would be suited for such a task. I usually keep a low profile and I tend to turn down whatever I do, I can't believe how some beer could make me post something way more arrogant than my usual standards would allow for. Again, for that, I can only apologise. It was a matter of bad timing as this topic was posted right in time for me to see it after I drank some beer. I hereby decline any present or future offer to fill a judge position under any circumstance and that's final. Also, I don't know what is going on behind the scenes, but if you're looking for someone expert at music, then yes, ValleyBell would be a much better candidate than me. edit: you might as well trash my two posts and the replies generated from them, as this kind of off-topic discussion would look bad on the first page of such an important topic. FireRat and Clownacy like this. So, the truth is my hack won the BLAZE TROPHY?! Samey and A-S-H like this. RHS -- your SHC videos are so epic. That was quite possibly the most epic cardboard box I have ever seen. Good show! ValleyBell, sadly, did not have the time. If someone else wants to delete your posts, they are welcome to, but I feel you're being harder on yourself than you should be, and I also think that maybe the judge recruitment should be fine tuned. The way it's set up is possibly not the best way to do things. The reason Ordos was brought on was based on a post he made that did everything but ask for a judging position. He essentially said something along the lines of "if I was a judge". StephenUK provided an excellent rating of his own that mirrored my style which was what made me very interested. I know this was all said in the judging chat, but I want to leave the contest as transparent as I can. Can we just drop this rule already? It's getting rather ridiculous and tedious now. I was about to start a project that has a rather puzzle basis to it, the problem is, the engine itself needs to be heavily modified to a point where cheaters would find it easier to work out the puzzle than try to modify the ROM to get around it. It is at this point where, making your own engine would be far easier (and beneficial from a optimal stance) than it is to modify the current engine. You also haven't told us how you would determine a hack as a homebrew, how would you know the difference? If I started editing parts of the engine, ripping engines out, replacing them with my own better version, for example, we'll start with compression. I'll rip out Nemesis, and replace it with Twizzler. Does it count as homebrew now? If not, then I'll replace the draw code, does it count as homebrew now? If not, then I'll replace the sound driver, does it count as a homebrew now? At what point after a slow progression of ripping stuff out, and replacing them one by one to a point where the game itself has no code that even resembles the original title, do you pull the plug? If no-one told you it were a homebrew, how would you know? If Vladikcomper had not mentioned his homebrew was an actual homebrew, you would still have allowed it into the contest completely unaware of its internal changes. Even if you opened up the game, and started disassembling it, what parts would you be able to tell are homebrew and how significant that code is to justify it? And would you really spend a lot of time disassembling all of the titles in the contest just to check? This could also apply to PC hacks, you cannot (and will not be able to) determine what is homebrew, and what is hack. I don't want to be aggressive here, I know you guys have put up with a lot, but I feel I have to in order to emphasis some sense into this, there really is no reason for this rule to be in place, we need to grow and expand our community, encourage people stem away and start making homebrew games, not only for their benefits, but for ours. BinBowie, Natsumi, Pokepunch and 9 others like this. While agreeing with what Jester said, i have to say that competition between a full homebrew and a hack might not be really fair?... Also, if so, there can be hacks of other games published just fine, it would overall be a mess imo. Did you know that several years back, a few members insisted that Megamix could not be submitted "because it's not fair"? What part of "contest" is not made apparent to you? The discussion is down to homebrew vs hack, not Sonic vs non-Sonic. The homebrews in question have to be Sonic related at the very least, what I am arguing here is to allow homebrew based Sonic titles to be submit-able, not any homebrews. It seems that this past month you have been taking what I've been saying out of context quite a lot, I would appreciate it if you didn't do that. Thank you. Xeal and Natsumi like this. I mean we already have hacks of games like sonic generations and the 8bit games.